Luggage Labels. Original labels to mark your luggage when you make a trip. 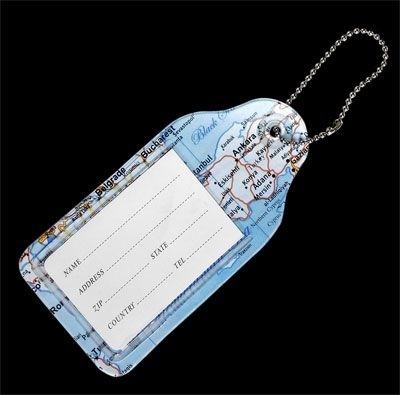 Labels to place your data to all the luggage you carry when you make a trip. Made of PVC, with map printed.